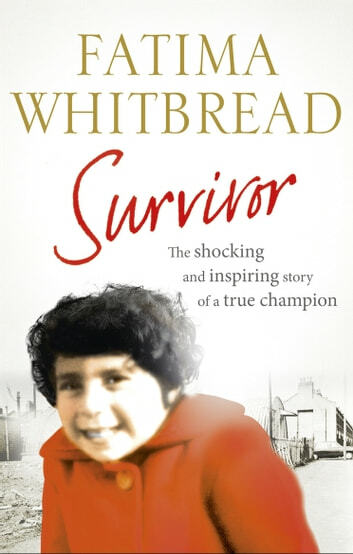 Fatima Whitbread had the worst possible start in life. Abandoned as a baby, she spent much of her childhood in and out of children's homes. A brief, disastrous stay with her birth mother saw her raped by her mother's drunken boyfriend - while her mother held a knife to her throat to 'quieten her down'. Fatima was only twelve at the time. Athletics was her saviour: local athletics coach Margaret Whitbread took the young Fatima under her wing, eventually adopting her. Fatima competed in three Olympics, winning bronze at the 1984 Los Angeles Games. In 1986 she set a world record, and the following year in Rome became world champion and was voted BBC Sports Personality of the Year. But then Fatima faded from the public eye, leaving many to wonder where she had gone. After the cheering stopped, Fatima faced prejudice, penury, scandal and heartbreak. Survivor describes how she defeated all her demons to rise triumphantly from the ashes once again, this time as queen of the jungle. Almost 13 million people watched her on I'm a Celebrity, and after surviving 20 days in the Australian heat, she has millions of new fans eager to know more about Fatima the woman: the forthright, focused, slightly bossy, charismatic single mum who knows how to transform even the most devastating experiences into lessons in life. This is the unforgettable story of a true champion, who triumphed against the worst hardships imaginable.